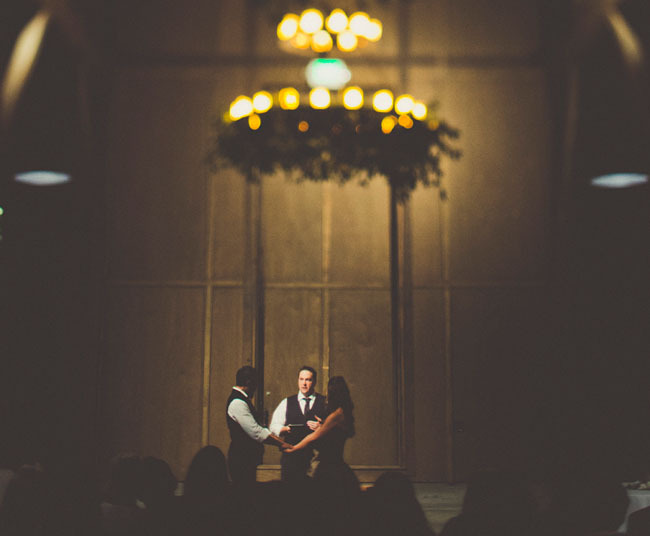 Josh and I were both dead set on making this a very non traditional wedding and an evening no one would ever forget. 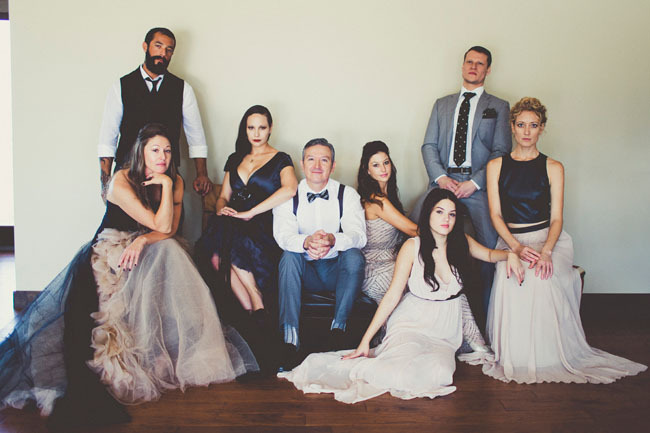 We wanted to make it an EVENT, complete with style, drama, and reckless abandon. We threw all the usual wedding traditions out the window and just focused on throwing the party of a lifetime. We had to know more about how Kimberly decided on this dress. She tells us, I knew the dress the moment I saw it in a magazine. 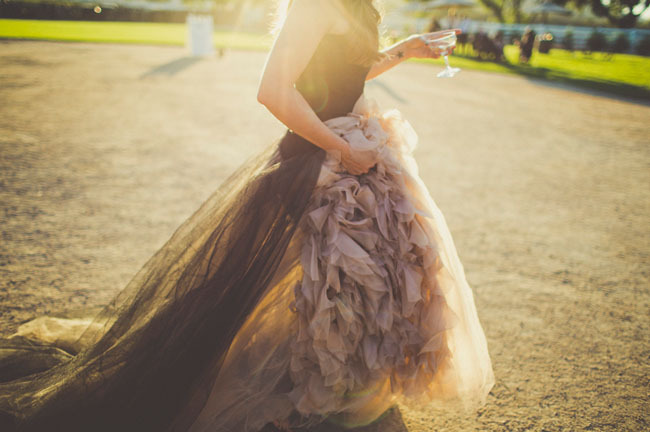 It was Vera of course but the most beautiful shape and contrast of black and blush and ivory. I called Vera Wang and asked if they still made the Joelle dress, made an appointment at the studio in Beverly Hills, walked in tried it on and twenty minutes later I was out the door. I never doubted for a moment my choice to not wear white. 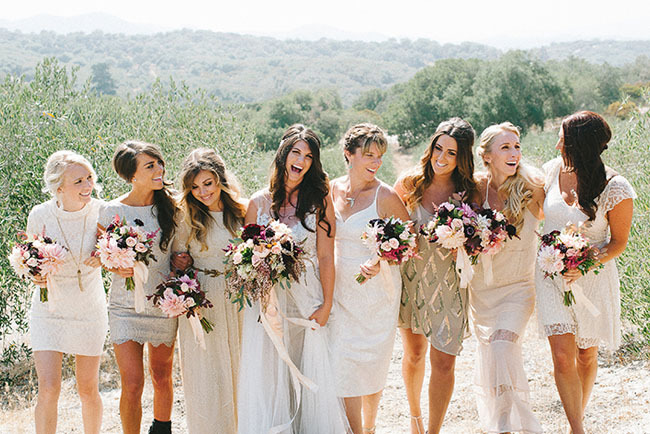 Adore the bridesmaids’ looks, too! 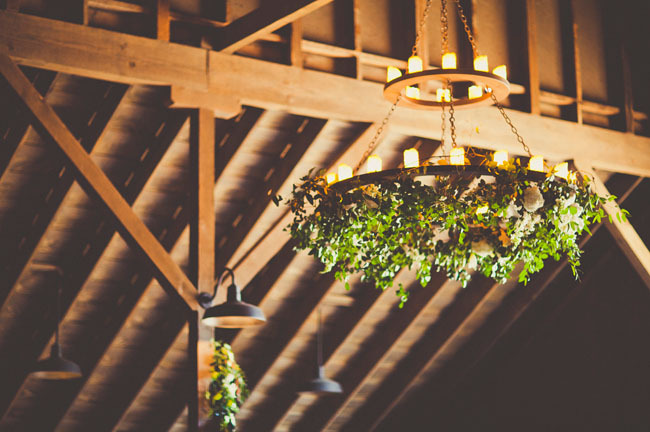 Noonan’s Wine Country Designs did a lovely job adding greenery + white blooms to the rustic barn space. I attended college at Cal Poly San Luis Obsipo and my heart never left. I still spend as many weekends there as I can manage. Getting married in SLO was never in doubt. 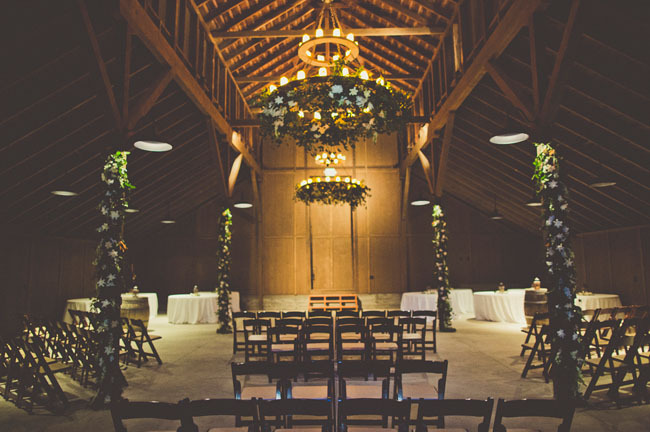 However, I wanted to incorporate a rustic barn. We researched several in the area and planned a weekend of site touring. 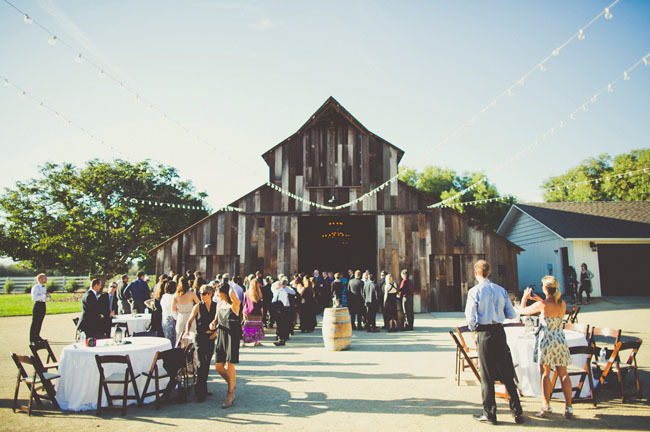 We didn’t find what we were looking for until we met Brette from Central Coast Soiree at a wine tasting room in Paso Robles. 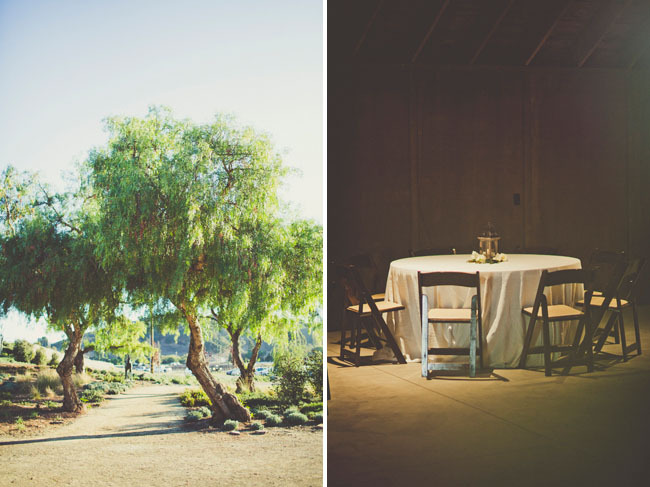 She wondered if we had heard of Greengate Ranch which we hadn’t since it was only recently starting to host weddings having gone through a major restoration. She booked an appointment for us and we headed on down. There was no question, this was the place for us and Brette was the key ingredient we couldn’t live without. The rest of the wedding simply came together effortlessly. 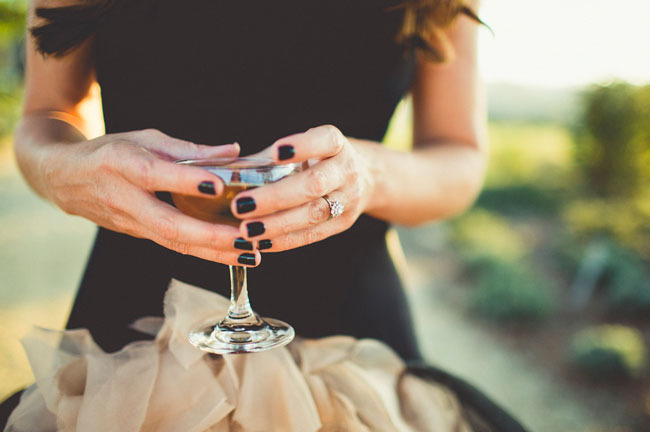 Brette had everyone we needed – the florist, the photographer, the DJ, the rentals – she listened to our vision and picked every glass and every dish, every detail just perfectly. She made each one of our dreams come true. And we can’t go without talking about Sarah Kathleen. In line with our whole nontraditional, edgy vibe – I spent months looking through every magazine I could get my hands on, tearing out every photo that caught my interest. I collected hundreds of pictures torn out of Vanity Fair, C Magazine…every fashion and editorial magazines I could think of. We sat down with Sarah and I told her exactly what I wanted – no “wedding photos”. I want these pictures to look like they could have come right out of a magazine – absolutely nothing like every wedding photo I have ever seen. She was hesitant but she understood what I was going for. I wanted editorial quality photos. On the day of the wedding, it wasn’t just her artist vision and talent that came through that day, it was her ability to connect and work with all of us in the photos. Every single person stopped me throughout the day to comment on how amazing her photos were and what a special person she is. P.S. 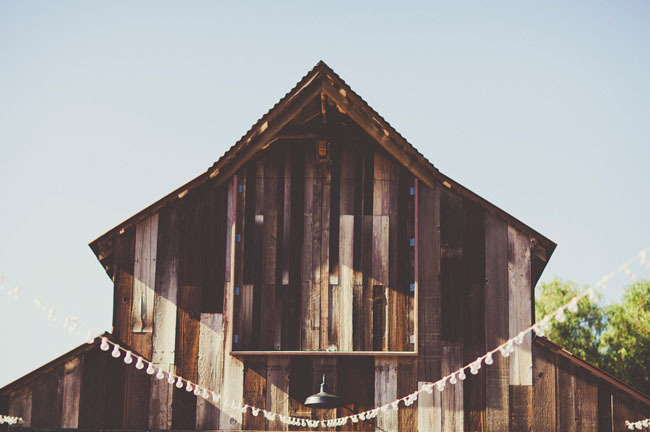 Find amazing creatives for your wedding day in our curated Wedding Artist Guide! Beautiful! 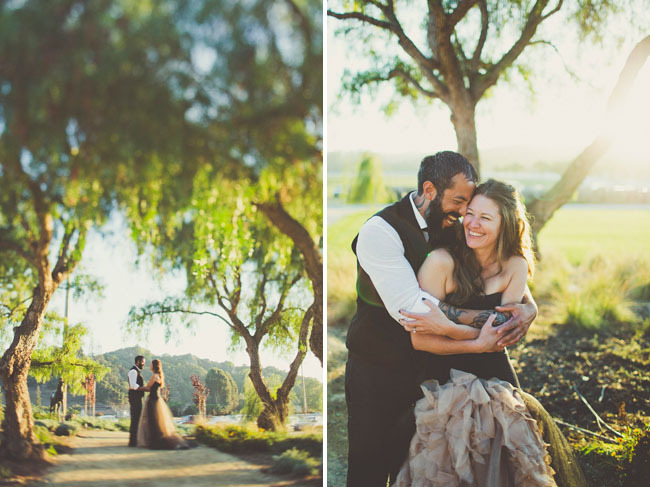 Love your vision for this wedding! Turned out so well! 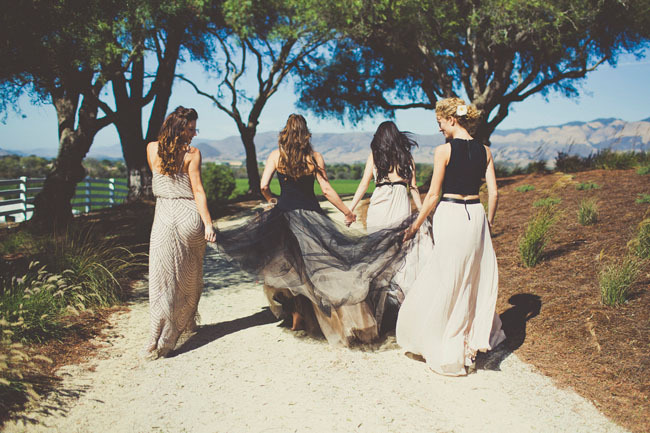 Wooow, everything was so different: the dress, the place, the bridesmaids, the pictures… incredible!! I love unexpected things at weddings! The dark glamour is really nice here! Thank you for sharing this one with wedding world! 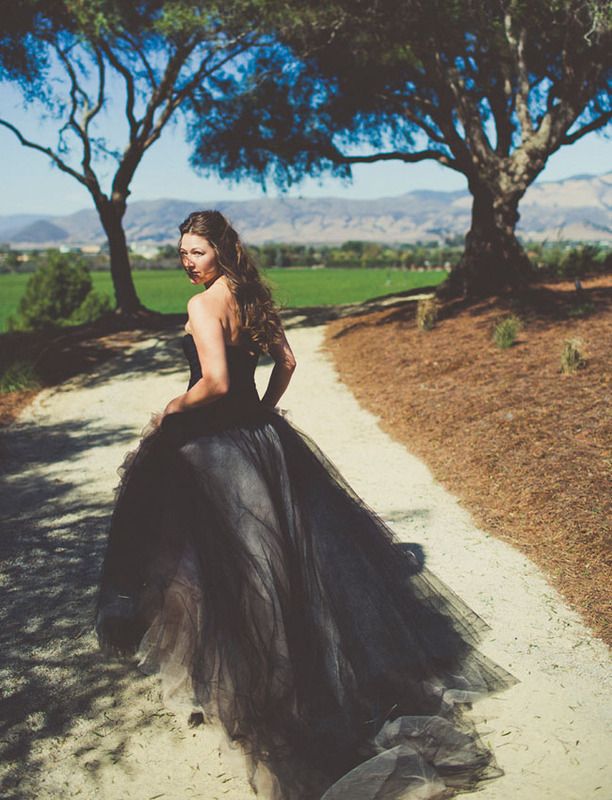 Seems fitting that Greengate Ranch & Vineyard should be on Green Wedding Shoes! What a fantastic dresses! Very good style! Gorgeous bride! 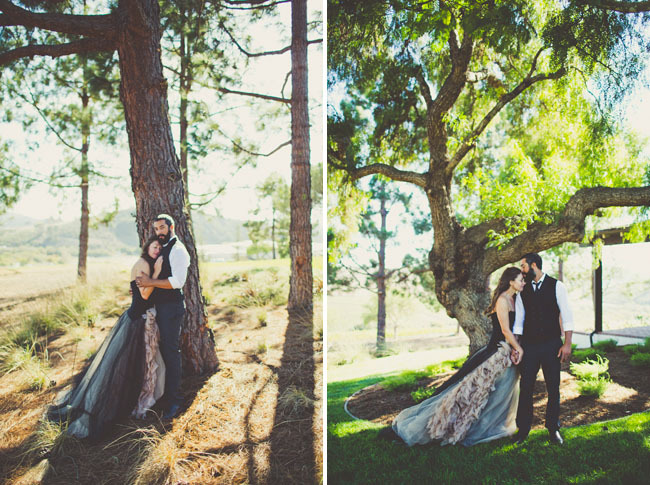 The whole wedding session makes a huge impression on me, congratulations! Beautiful!! Where did you get the bridesmaid dresses?! I am supposed to be wearing something simIlan to the two piece and can’t find it anywhere. Thanks!